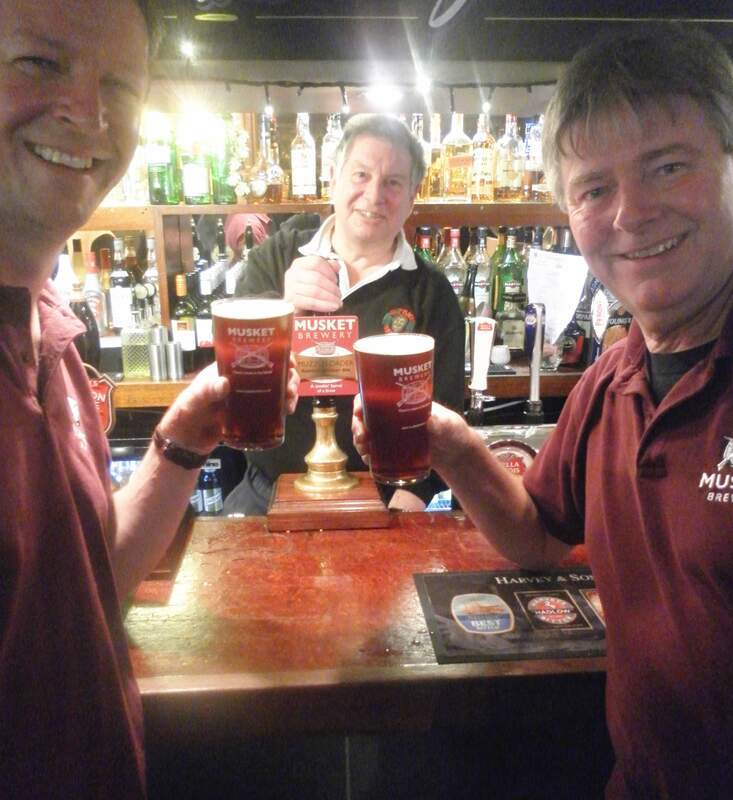 Musket Brewery, based at Linton near Maidstone is not a year old yet and so owners/brewers Mark Stroud and Tony Williams are particularly proud to have been able to achieve a green hop brew before celebrating their first anniversary. Musket’s green hop beer is called Flash in the Pan. It’s a 4% golden ale featuring East Kent Goldings and Fuggles hops. “We wanted to brew a green hop beer as we felt it was upholding a long-standing tradition of brewing and with Musket Brewery being located on a farm in the heart of Kent, this is important to us,” explains Tony. “The brew day was a long, but very interesting and exciting one, which began with a visit to Redsell’s Hop Farm to collect our green hops and chatting with Tony Redsell, a true legend in the hop growing industry. We were thrilled with seeing the process first hand using machinery which has been employed in hop harvesting for generations. Not to disappoint their customers, by being unable to meet regular orders, Mark and Tony have only brewed 20 casks of their green hop beer – but beer fans will be pleased to hear that one of these is reserved for the Kent Green Hop bar at Canterbury Food & Drink Festival. The rest have been offered Musket’s regular customers first, before being placed on general release. Flower Pot – Maidstone . Hare & Hounds – Blean. Padwell Arms, Stone Street , Sevenoaks. Fox & Goose, Weavering, Maidstone . Ye Olde Thirsty Pig – Maidstone . The Bull – West Malling. The Plough – Stalisfield Green. Look out for another ‘Meet the Kent Green Hop brewer’ and more KGHB news soon.